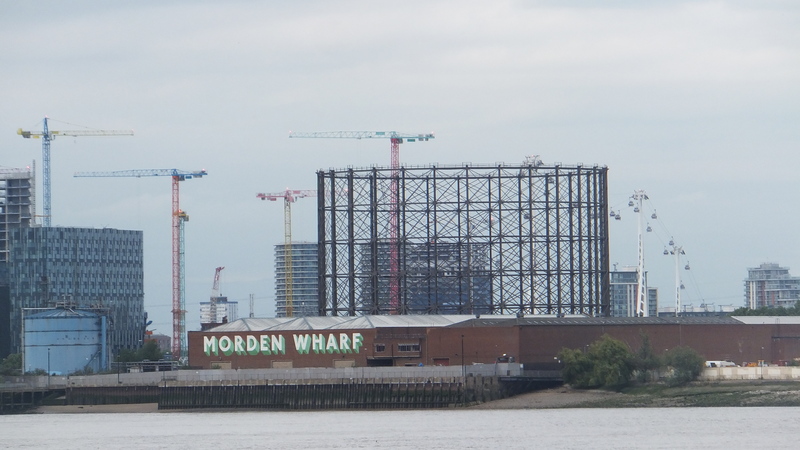 A consultation event is to be held in east Greenwich this Sunday on plans to build 1,500 homes and 500 car parking spaces at Morden Wharf in Greenwich. The site is owned by U&I with little movement since they purchased it six years ago apart from a bus garage being opened on part of the site. 1,500 homes is revised down from early plans submitted to Greenwich Council in 2017, when 2,000 homes and towers up to 40 floors were mooted. 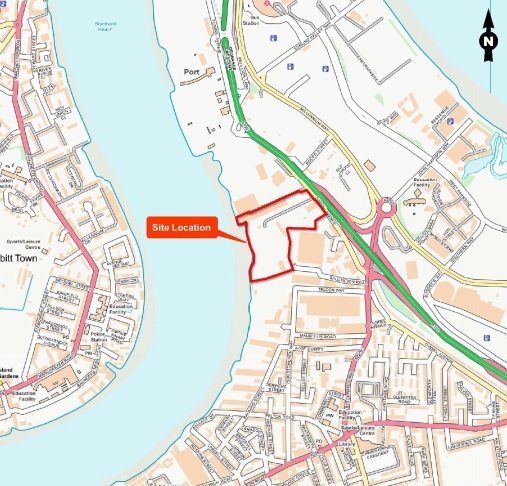 The site is 13 acres in size, lines the Thames and is north of Enderby Wharf and the now abandoned site of the Cruise Terminal. Consultation documents mention over 15,000 new homes on the Peninsula. That’s incorrect. It’s actually more than 20,000. Knight Dragon alone are near 16,000 but there’s also Greenwich Millenium Village, Enderby Wharf (current and future phases), AEG’s tower and more. A High Street is mentioned running east-west through the site. 35% of homes will be “affordable” with all of them located to the east of the site closest to the Blackwall approach and furthest from the Thames. When it comes to transport the Jubilee Line upgrade is mentioned – though that’s pretty much scrapped. Tunnel Avenue becoming two way is also mentioned (providing another entrance to the Blackwall Tunnel for all traffic) though that is also many years off, and could well become gridlocked. They also mention the Santiago Calatrava designed new transport interchange and crossing over the Blackwall Approach – though almost two years after being revealed no submission has been made. With developers hoping to start building in 2020, pedestrians face a pretty awful trip to North Greenwich station. Consultation will be this Saturday 24th November between 12pm and 5pm at the Forum on Trafalgar Road, Greenwich.